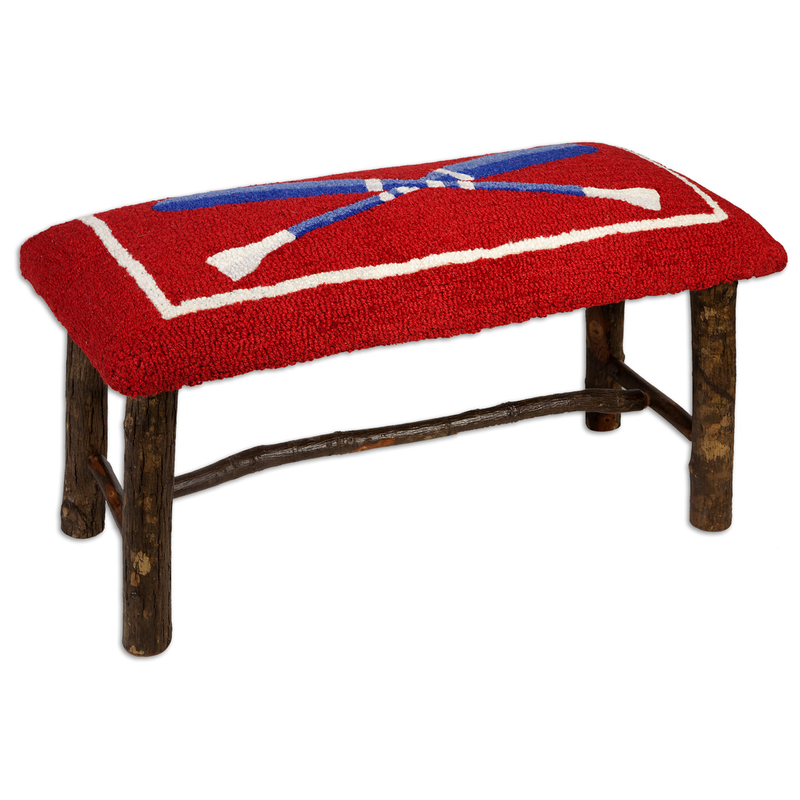 Give your room a dose of folk-art beauty with the Crossed Paddles Hickory Bench. This hickory accent bench features a solid hickory base upholstered with two striped canoe paddles. Ships from the manufacturer. Allow 1 to 2 weeks. Cannot express ship this beach style furniture. For even more pieces, we encourage you to take some time to look through our full assortment of beach style benches at Bella Coastal Decor today.